There are multiple artists with this name 1)Lou is the stage name of Louise Hoffner (born October 27, 1963), a German pop singer. She was the sixth child of her parents and was immediately surrounded by her elder brothers and sisters. The happy-go-lucky, orange-haired singer has toured with her band for over 15 years, in Germany as well as abroad. Lou proved her talents at the 2001 Eurovision national finals, taking third place. 1)Lou is the stage name of Louise Hoffner (born October 27, 1963), a German pop singer. She was the sixth child of her parents and was immediately surrounded by her elder brothers and sisters. 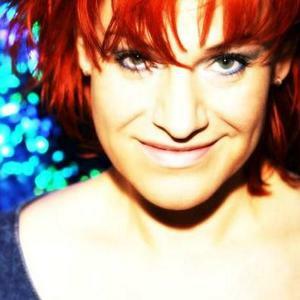 The happy-go-lucky, orange-haired singer has toured with her band for over 15 years, in Germany as well as abroad. Lou proved her talents at the 2001 Eurovision national finals, taking third place. Shortly before Christmas 2002, composer Ralph Siegel asked her if she would be interested in competing in the national finals again with a song he had written with lyricist Bernd Meinunger. After hearing ?Let's Get Happy?, Lou was totally enthusiastic: "This is just my kind of song?and besides, it's my life's motto...!" Her March 7 win in the 2003 national finals qualified her to represent Germany at the international level in Riga. Ultimately, she placed 11th in the Eurovision Song Contest 2003. In March 2006, she made a guest appearance at that year's German Eurovision preselection, singing ?Let's Get Happy? in a medley of past German Eurovision entries. 2) Lou is an artist who rides the line between Dance and New Age with two EPs and one studio album, The Other Side, which is part dance electronic beats and part melodic piano.